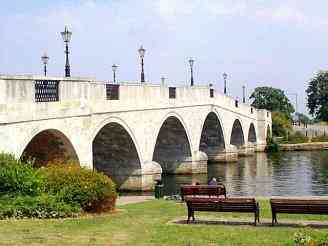 Staines has enjoyed a river crossing bridge since roman times. 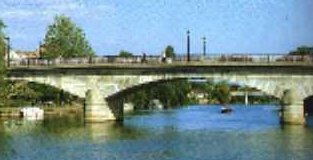 The present bridge designed by Rennie is the successor to four other bridges which once stood at this point. 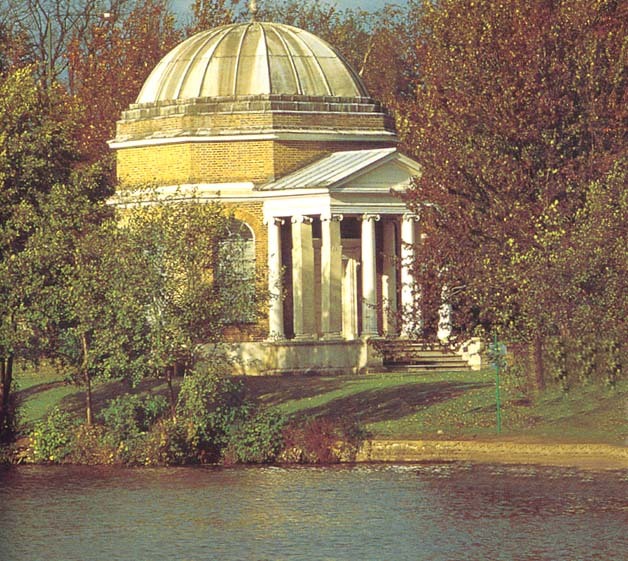 The present bridge, a beautifully proportioned three arched stone structure was opened in 1832 by William IV. Public Moorings are available as well as the riverside "Swan Hotel"
� Click on picture to enlarge. The following excellent photo's are reproduced by permission of www.surreychoicenet.co.uk and are worth expanding to see their true quality. 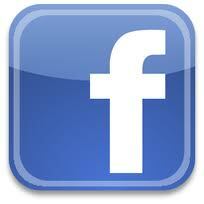 Click on the images to expand to full size. 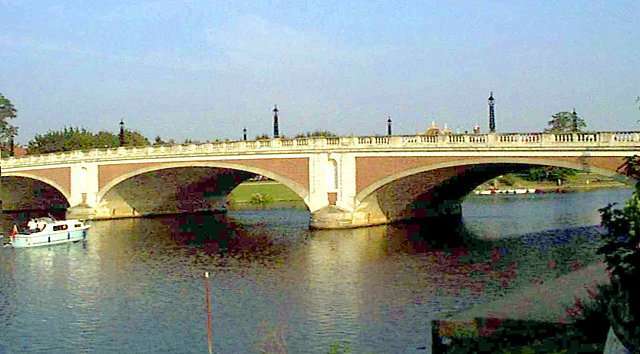 Chertsey Bridge built in 1780, recently strengthened to withstand todays heavy traffic. 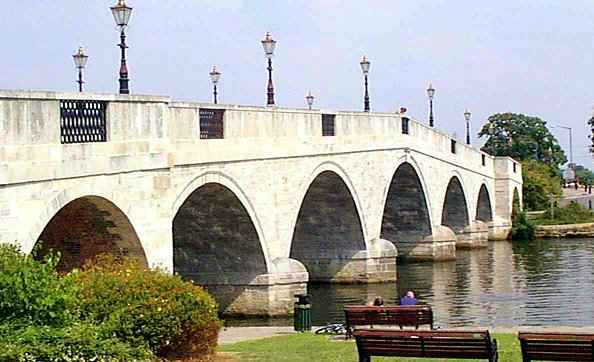 This bridge is the first to encounter on your trip upstream from our Boatyard. 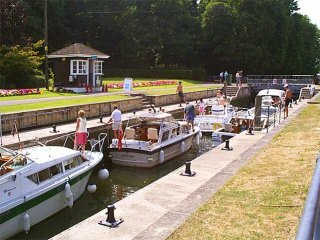 Moorings are provided on either bank and a choice of two riverside restaurants/bars. � The River downstream showing the recently re-developed Dockett Eddy House. 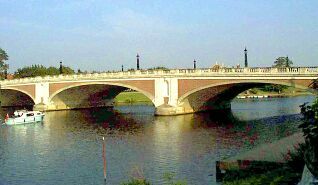 Hampton Court is just the other side of the bridge. 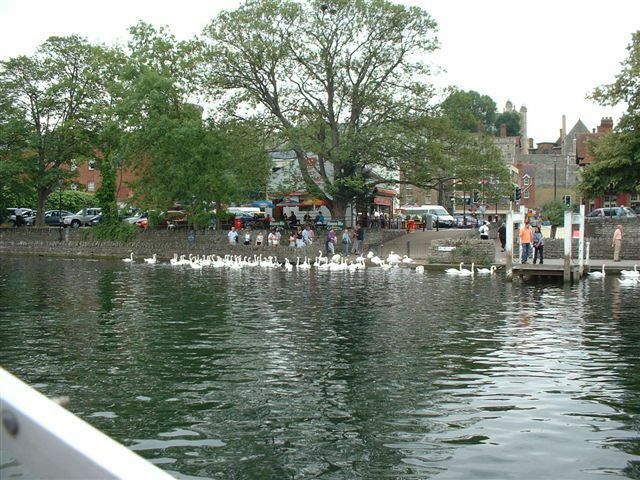 Public moorings (24 hrs) adjacent .� A must see for any visitor. 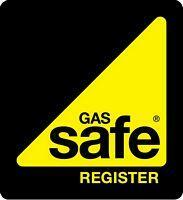 Plenty of pub's and restaraunts. 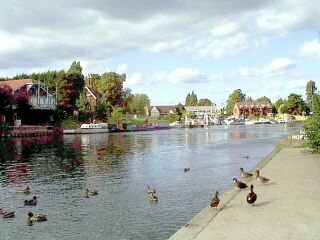 The Thames and Wey combining at Weybridge. 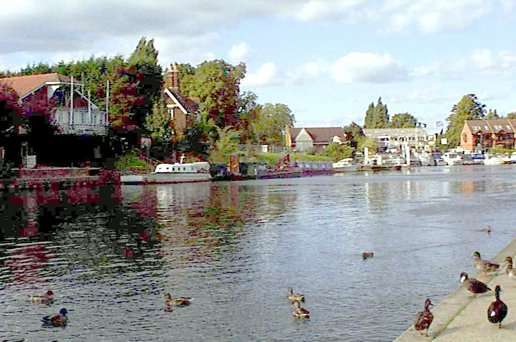 Here two photographs have been aligned side by side to show the meeting of the waters where the River Wey (on the left) joins the River Thames. 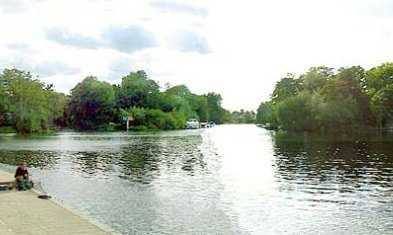 The Wey flows each side of a group of small islands (centre left). 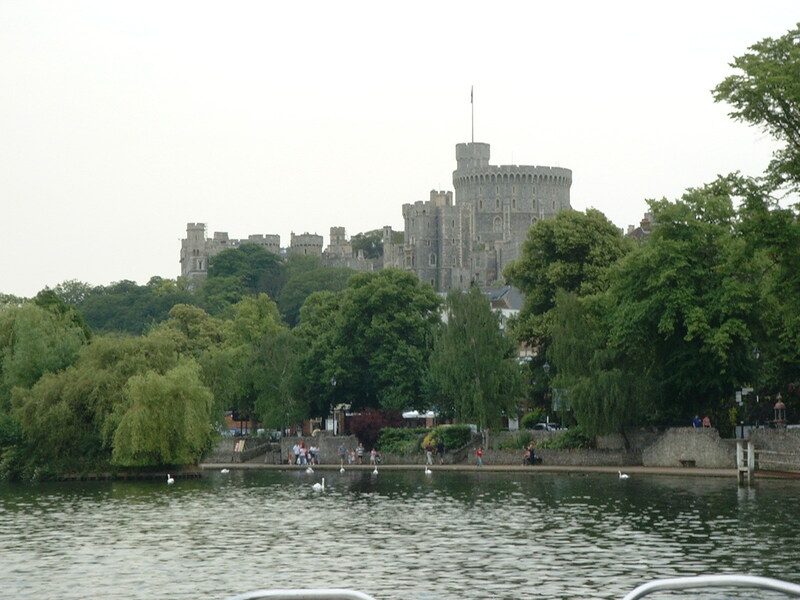 To the right, part of the River Thames divides itself and flows around another island, before rushing down a weir to join the main river. 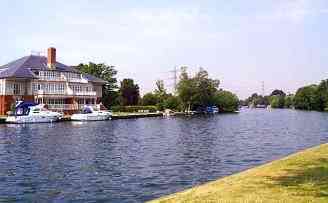 (Weybridge mariners club on the left). 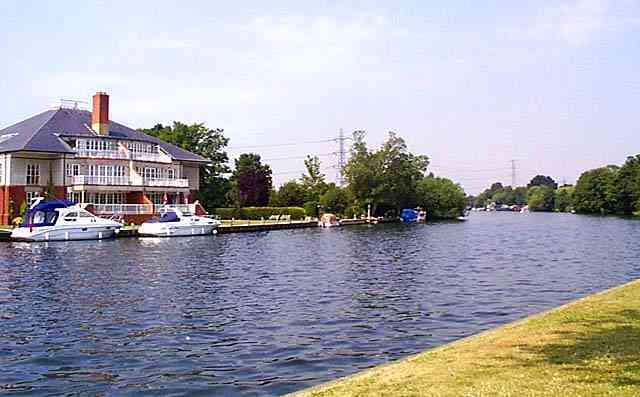 Here the River Wey and the River Thames have joined together and flow along towards Walton on Thames and further to London. At one time canal barges used to come here from the docks in London. Always busy during the season. 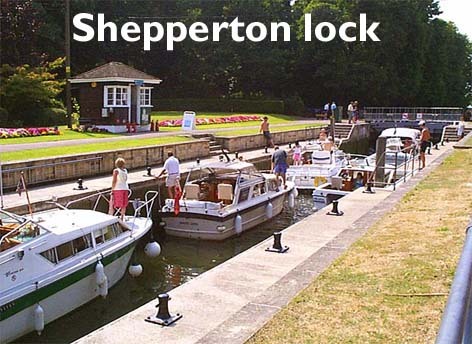 Lockside refreshments provided by the lock-keeper. For PayPal or Bank Transfer, please contact us for correct details - Credit and Debit cards by phone or email.